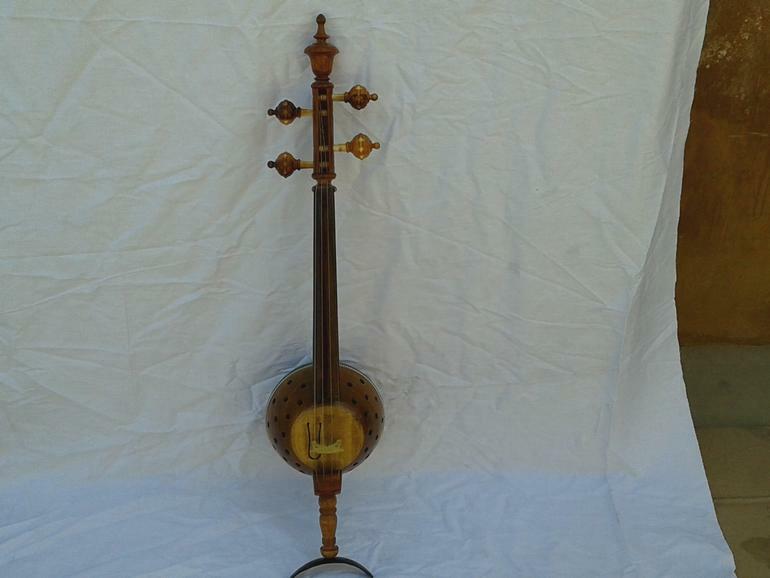 The Ghijeck, a traditional “spiked” fiddle, is the most popular instrument in every Uyghur orchestra. With it’s roots traced back to the Khumal region, the contemporary Ghijeck shares many similarities with the Chinese Erhu and the European Violin. Those familiar with either instrument will be able to quickly master the Ghijeck. Carved from only the sweetest-smelling apricot wood, the Ghijeck is tuned like a violin and played resting upright on your leg, neck in your left hand, and bow loosely held with your right.While designed for a professional musician, the artisanal craftsmanship and beauty of the Ghijeck will appeal to all art collectors as a beautiful and traditional piece.